Chaparral Shooting Sports is an NRA registered members-only gun club with a focus and training and promoting run and gun events and long range shooting. 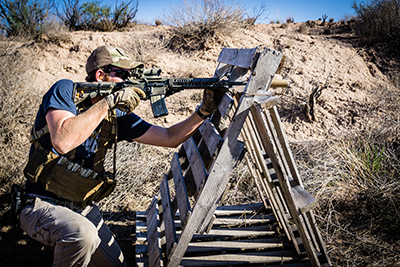 The mission of Chaparral is to help members train for run and gun events and to and improve the fitness and marksmanship. We host a monthly training run that allows members to test their gear and practice marksmanship under the conditions you will find at a run and gun event out our central Texas range. There will also be four long range shooting events that will let people test the long range shooting out to 1300 yards. Club members can also book private range time at additional cost. Membership is $200 a year. This gives you access to all the training runs and long range shooting days in addition to a few club-only mini events hosted during the year. Chaparral Shooting Sports is proud to host the Sons of the Desert Run and Gun. Please follow the link for the SOTD event.